Coral Gables, Fla. – February 26, 2017—Baptist Health Medical Group, an organization of more than 180 physicians in multiple specialties integrated within Baptist Health South Florida, welcomes to its team four Board-certified obstetrician/gynecologists. 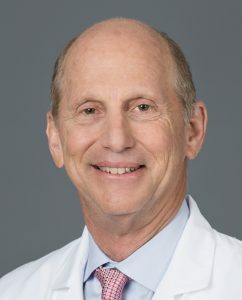 Robert Feldman, M.D., FACOG, Charles Kalstone, M.D., FACOG, Debra Kenward, M.D., P.A., FACOG, and Ellen Schwartzbard, M.D., will see patients at Women’s Health of South Miami, located at 6141 Sunset Drive, Suite 401, in South Miami. The four OB/GYN physicians are affiliated with Baptist Hospital and South Miami Hospital. Dr. Feldman has more than 30 years of experience providing comprehensive obstetric and gynecological care to women of all ages. He has been a principal investigator on more than 175 clinical research trials and has authored numerous articles that have been published in peer-reviewed scientific journals. 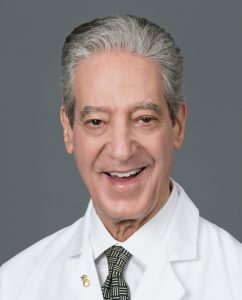 Dr. Feldman earned his medical degree at the University of Miami Miller School of Medicine in Miami, Fla., and completed a residency in obstetrics and gynecology at the University of Miami Miller School of Medicine-Jackson Memorial Hospital, where he served as chief resident. Dr. Kalstone, has practiced obstetrics and gynecology for more than 40 years. He specializes in preventive care and helps women stay healthy by establishing an ongoing personal patient-physician relationship and coordinating specialty care. He earned his medical degree at the University of Michigan Medical School in Ann Arbor, Mich., graduating with distinction. He also completed a residency in obstetrics and gynecology at the University of Michigan Medical School. Dr. Kenward has cared for women for more than 30 years. She specializes in hormonal treatment during the different phases of a woman’s life—from reproductive age to perimenopause to postmenopausal. She also educates girls and women in the community on health issues and preventive strategies so they can achieve optimum wellness. Dr. Kenward received her medical degree from the University of Florida College of Medicine in Gainesville, Fla., and completed a residency in obstetrics and gynecology at the University of Miami Miller School of Medicine-Jackson Memorial Hospital, where she served as chief resident. 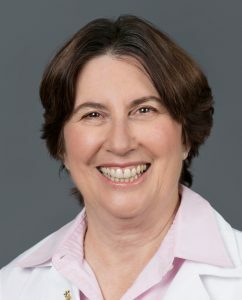 Dr. Schwartzbard has more than 20 years of experience providing a full range of obstetrics and gynecology care to women, from adolescence through the postmenopausal years. She specializes in all aspects of reproductive health, including family planning, infertility, pregnancy, childbirth and menopause. 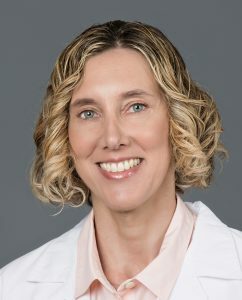 Dr. Schwartzbard earned her medical degree at the University of Miami Miller School of Medicine and completed a residency in obstetrics and gynecology at the University of Maryland Medical System in Baltimore, Md., serving as chief resident. Baptist Health Medical Group, a network of primary care doctors and specialists who provide high quality medical care to patients of all ages, is part of Baptist Health South Florida, the largest healthcare organization in the region, with 10 hospitals (Baptist Hospital, Baptist Children’s Hospital, Bethesda Hospital East, Bethesda Hospital West, Doctors Hospital, Fishermen’s Community Hospital, Homestead Hospital, Mariners Hospital, South Miami Hospital and West Kendall Baptist Hospital), more than 40 physician practices, 50 outpatient and urgent care facilities, Baptist Health Medical Group, Baptist Health Quality Network and internationally renowned centers of excellence spanning across Monroe, Miami-Dade, Broward and Palm Beach counties. A not-for-profit organization supported by philanthropy and committed to our faith-based charitable mission of medical excellence, Baptist Health has more than 19,500 employees and more than 3,000 affiliated physicians. Baptist Health South Florida has been recognized by Fortune as one of the 100 Best Companies to Work For in America and by Ethisphere as one of the World’s Most Ethical Companies. For more information, visit BaptistHealth.net/newsroom and connect with us on Facebook at facebook.com/BaptistHealthSF and on Twitter and Instagram @BaptistHealthSF. Tags: Baptist Health Medical Group.